Yes, the big surprise here is the Ravens. And to know why, you need not look any further than Mike Wallace. 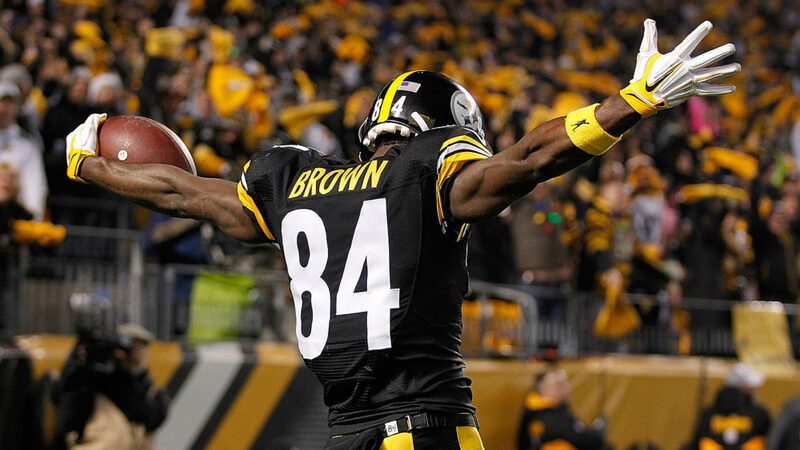 He may be 30 years old, but Mike Wallace was Antonio Brown in Pittsburgh before Antonio Brown became Antonio Brown. He is really fast and can catch the ball. And Flacco, Harbaugh and the Ravens needed that deep threat after Torrey Smith left for the 49ers. This year feels a lot like 2013 when the Ravens won the SuperBowl. 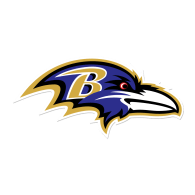 Pitta and Smith Sr. are back and “healthy.” The Ravens signed veteran free safety Eric Weddle to shore-up the back end of the defense that hasn’t been the same since Ed Reed left in 2012. 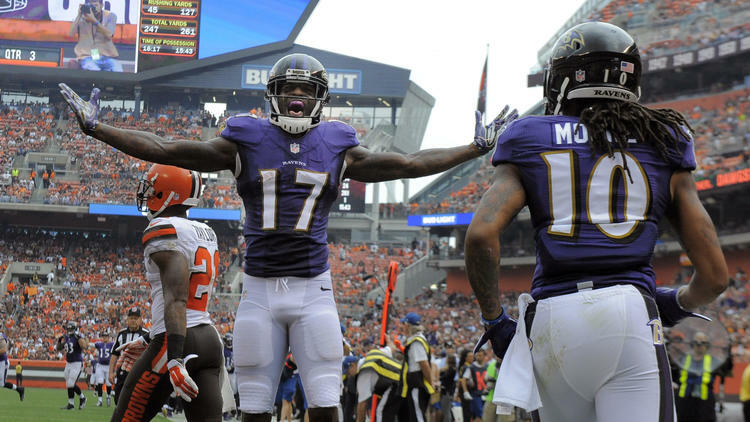 Even CJ Mosley is showing up as we saw this past weekend with his last minute interception to seal the win over the Browns. So there you have it. 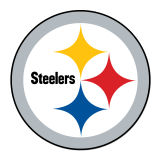 Running in close second place we have the Steelers, who, like the Ravens, are 2-0 despite the year-long Martavis Bryant and three-game Le’Veon Bell suspensions. The reason they are second and not first is because Brown can’t do it all by himself. 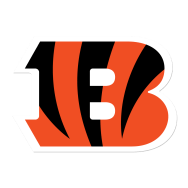 Yeah, the Steelers beat the Bengals this past week, but I really think that was a case of the Bengals beating the Bengals, which is why they are No. 3 in the AFC North. But Steelers fans should be concerned. Brown can be contained and he was! 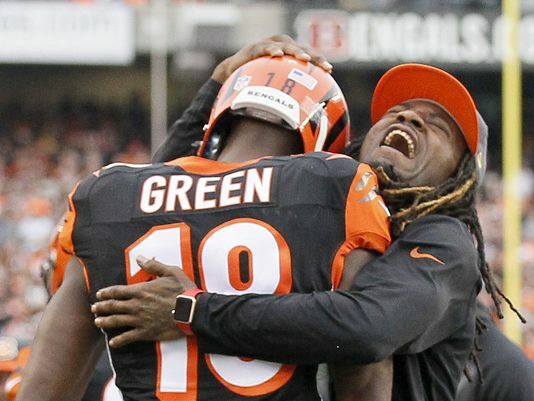 After going off Week 1, Brown had a middling week against the Bengals in front of a home crowd, turning 11 targets into just 4 catches and 38 yards. Pitiful. While Sammie Coates is getting better by the week, Wheaton needs to come back from his shoulder injury ASAP. Even with Bell returning to the roster in Week 4, I still think the Steelers are going to have issues. Oh and who doesn’t hate Rothlisberger. In third place we have the Bengals who seem to have all the pieces, but can’t put it all together. Their defense is strong (they contained Antonio! ); AJ Green is a beast, Dalton and Tyler Boyd are decent (despite Boyd’s drop against the Steelers) and running back Giovani Bernard looks like he is going to have a good fantasy football season. Nevertheless, it seems the Bengals keep tripping over their own feet. They should be 2-0 and the Steelers 1-1, but that didn’t happen. Maybe it’s a discipline problem. Don’t get me wrong, the Bengals are great and would likely be #1 were they in any other division in the league. But in the tough AFC North, they’re only third best. Last but not least, the Cleveland Browns. While the Bengals trip over their own feet, the Browns actively set up roadblocks for themselves seemingly every year. Last year it was the Johnny Manziel debacle. This season the Browns repeated the stupidity by signing RG-III. Who really believed that Griffin would last more than a few games before getting injured. All that accomplished was giving McCown less time with the offense. 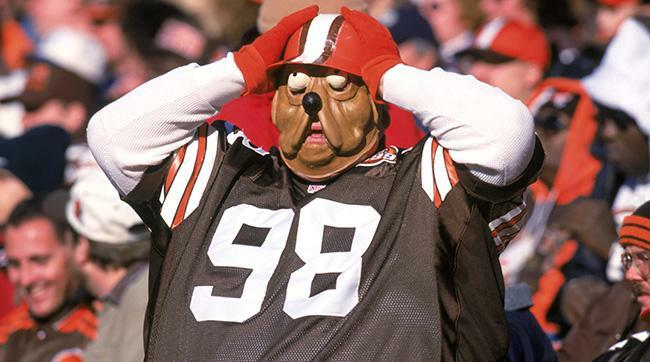 And now with McCown likely injured, what is a Brown to do? What they should have done is spend the off-season finding a QB who could work. Now they have to start 3rd Round rookie Cody Kessler. Oddly enough, the “right” answer (aka NOT Cody Kessler) might also give the Browns those crazy headlines they love. Yep, I’m talking about (I can’t believe I’m saying this) Colin Kaepernick. Even though the guy is certifiable, I do believe that he would give the Browns a fighting chance, and Kaepernick did want to join the Browns in the off season. I mean, the other offensive pieces are there for the Browns. They’ve got a new coach in Hue Jackson, they’ve upgraded their receiving core, they’ve got quality running backs (I wish I started Crowell this past week!) and Josh Gordon (ugh) coming back. While their defense still needs lots of work, the Browns have amassed an offense that should be able to put points on the board. They just need to some Kaepernick-action.